It’s a recipe for fall, y’all! It’s been a while since I’ve posted…anything. I started two other special posts which have both been patiently waiting to be finished and published, but work kinda took over while I was traveling so I’ll get ’em up this week. Promise! What’s up next? So glad you asked! Two new “TOP 5” posts: one is on my top five travel tips, while the other is on my top five tips for those of you considering blogging. Stay tuned! I’m really excited to share both of those, but just for today I had to start with this bad boy of a post in honor of a perfecly snowy Sunday here in Oklahoma! We only got a little snow…but of the little we got – it was enough to inspire the crazy wannabe baker in me to get started. I felt compelled to bake something pumpkin-like with the cans of pumpkin puree lining the aisles at the local grocery store, the fire in our fireplace, and the simple fact that I’m home. Home home home. 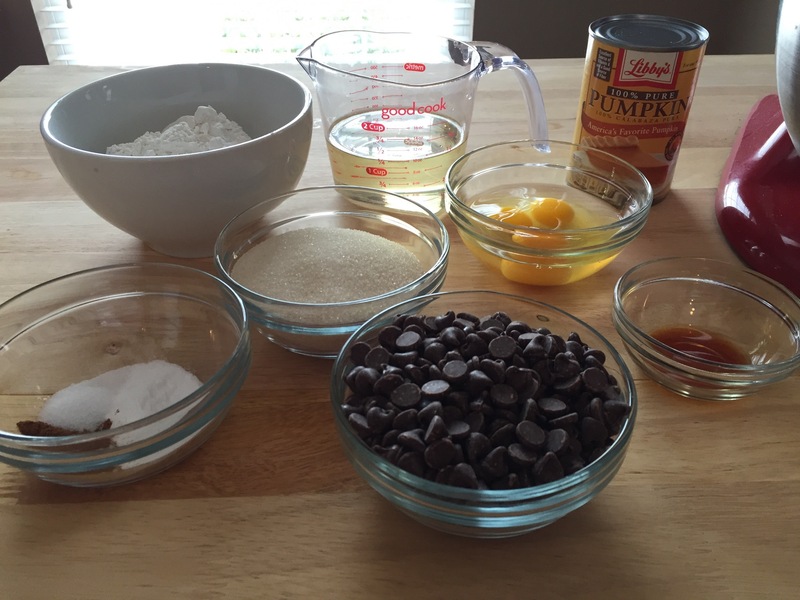 I found a recipe that deliveres a perfect little dose of pumpkin as my favorite season of autumn comes to a close: Pumpkin Chocolate Chip Muffins. High fives for this post goes out to Marg from food.com – thanks for the recipe! Now, I’ll have you know that before I left for my last two week stretch of work-travel back East, I put on my fancy pants and actually made pumpkin puree from scratch. Like, from an actual pumpkin…not a can. Totally did! I was so proud of myself. I followed the instructions from my favorite Oklahoma homecook, Ree Drummond. Check out how to make it from scratch here: Homemade Pumpkin Puree. I made it, froze it, and when I came back from my trip it was gone. Gone. I was devistated. No wonder Justin Timberlake wrote a song about it. Gone. It’s heartbreaking to make something from scratch and then have to start over when you’re toooootally not in the mood. It wasn’t Sean’s fault, btw. Just for the record – there was an issue with our new fridge/freezer’s power while I was gone and the poor guy had to throw everything out and buy new stuff. Sooooo those cans of pumpkin puree were lookin’ pretty good today. *Pre-heat your oven to 400 degrees. Mix the eggs, pumpkin puree, vanilla, and oil into a bowl until it’s nice and smoooooooth lookin’. Then add the cinnamon, baking powder, baking soda, and salt. Then, remove the whisk/paddle/whatever if you’re using an electric mixer, and make sure you fold in the chocolate chips with a spoon/spatula. 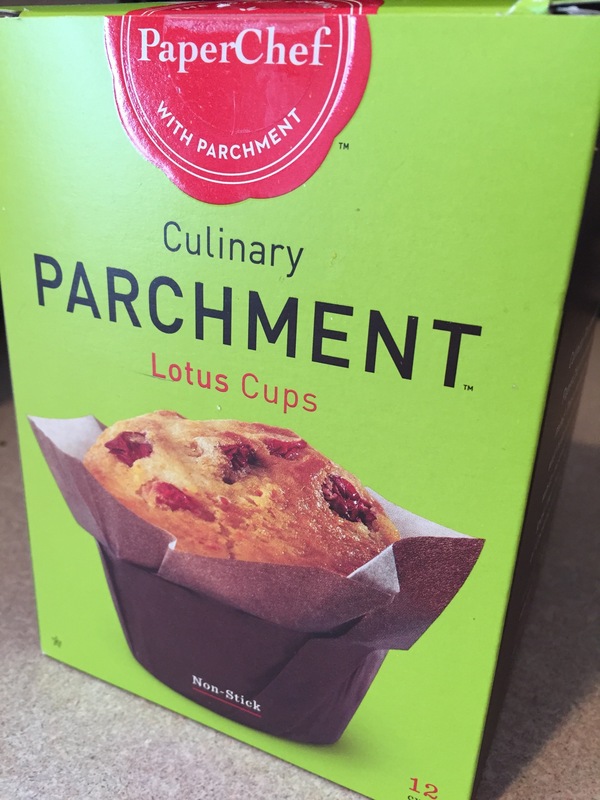 I’m a HUGE fan of these parchment paper wrappers. They’re so easy. Now, this recipe calls for about 15 muffins but I wasn’t about to use two different trays, so I just made all 12 a little larger and it worked out beautifully. So, either spray or greeze the pan or fill the paper cups about half way. Into the oven they go for about 20 minutes or less! 20 minutes was great for these rockstars since I filled ’em pretty well. Let them cool for about 5 minutes and enjoy!!! Boom. 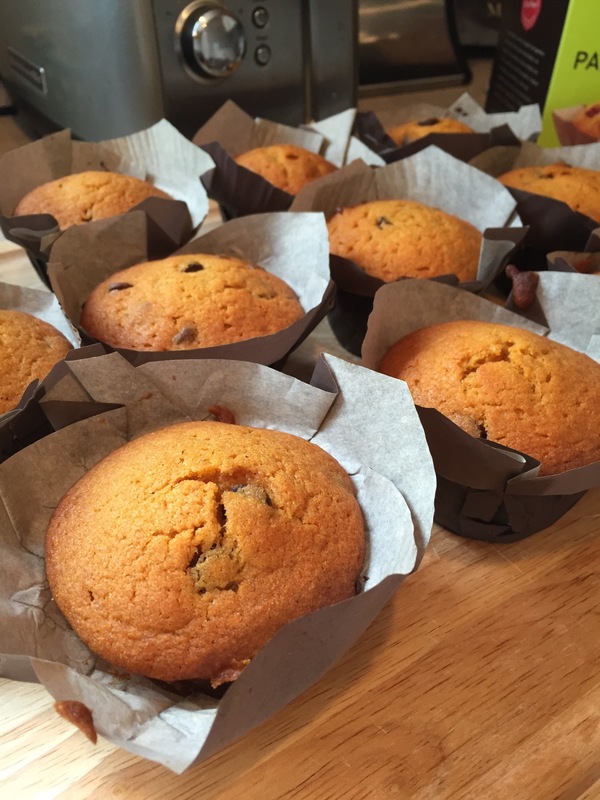 Delicious muffins prepared, baked, and enjoyed in under an hour. Hey! I'm Katherine. I live in the greater Tulsa, OK area with my hubby, our fraternal (boy & girl) twins, and our yellow lab. I adore writing, running, biking, laughing, cooking, baking, and traveling. Thanks so much for visiting. I hope you enjoy a post or two! I suppose this lunch spot will do...😍! This town never disappoints! Still smiling after an amazing weekend with sweet friends, glorious ocean views, and a half marathon PR!